In a seedy bar, some criminals engage in a business deal. One sketchy character gives one of Red Cloud's lackeys a H-E-R-O Dial when The Question emerges from the shadows. The Question makes quick work of the thugs and demands to know the identity of Red Cloud. At the Daily Planet, Clark and Robinson discuss their collaborative story when Deputy Chief Melody Moore contacts Kent. The two schedule a rendezvous. Elsewhere, Red Cloud's lackeys discuss what went down at the bar. Paranoia is beginning to hit them as they fear Red Cloud may be in the room listening to their entire conversation. Later that night, Kent and Moor meet up. Moore tells Clark that she's essentially been told to call off the arson investigation by the mayor. The mayor believes that once a person like Batman or Superman enter the equation, it's a tainted case. The two part ways. Changing into his dynamic alter ego, Clark flies over to the mayor's house where he finds him on the floor in a fetal position. Suddenly, Red Cloud appears and attacks the Man of Steel. Superman manages to escape, but has difficulty finding the mysterious villain. On a shady rooftop, Red Cloud reveals herself to be Robinson Goode. Story - 3: Not too much happens in this issue. This feels like an issue that's going to take us into what would be the story's third act. I hope that this proves to be the case because I'm getting a little tired of this story. Not that the writing is awful or anything, but I'm beginning to feel like this story is lasting a little longer than it should. A while back, I had read some complaints about Bendis' storytelling, with the most notable point being that he writes stories that are a bit of a slow burn. On a twice monthly schedule, this wouldn't be much of an issue - a ten issue arc would take five months to tell. 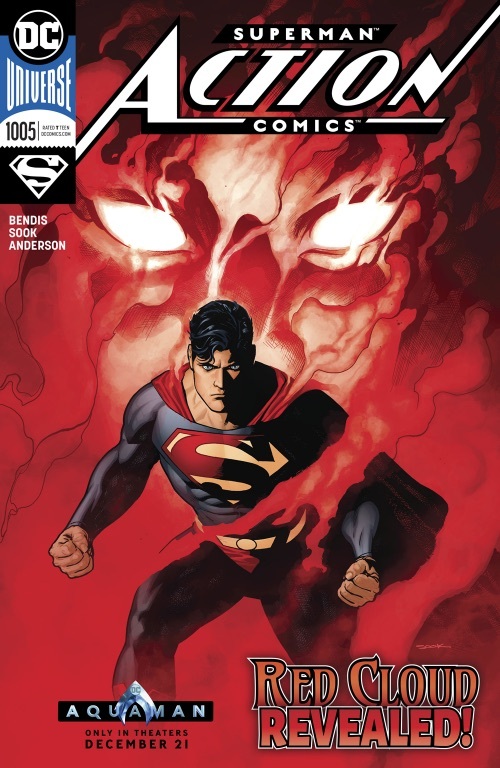 Unfortunately, the Superman books are back to being monthly, meaning that long story arcs seem to go on forever. That isn't to say that I dislike long arcs. When written strongly and well-paced, they can be massively enjoyable. Right now, I'm feeling this story would read better as a collected edition. I'm still interested in the story, but I'm getting hungry for something new. Art - 4: Ryan Sook continues to deliver. There are some panels with some weird faces, but it might just be the inking that throws things off. 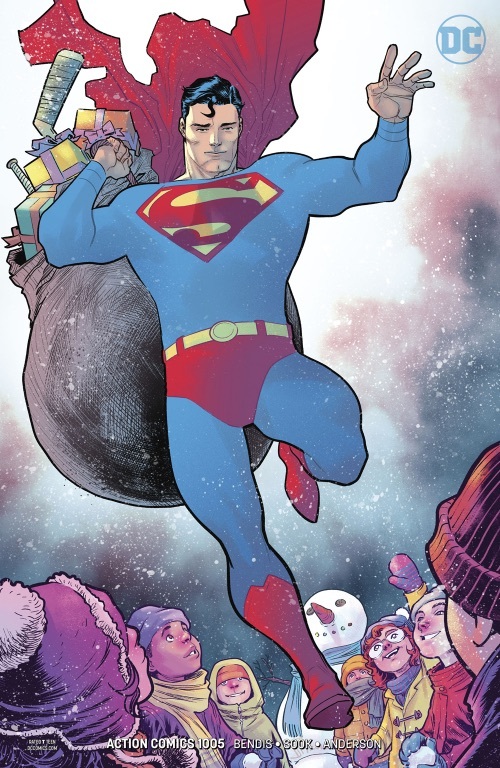 There's a great image of Superman in flight near the end and Clark looks a bit like Dean Cain. Cover Art - 4: Overall, I like this cover. The image of Superman surrounded by Red Cloud's vapor is striking. I just feel that they went a little overboard on the shadowing. Variant Cover Art - 5: I adore this cover. Then again, it has two of my favorite things on the same cover, so I might be a little biased.